The day after Christmas I left for a two week trip to Europe; the main goal being to explore the Alps during the winter season. A few friends, my boyfriend and I flew into Paris and enjoyed five days eating at our way around the city and visiting Versailles. I always love taking a trip right after Christmas; the cities are still lit up with lights and the crowds die down for a few days, only to reappear in time for New Year's Eve. 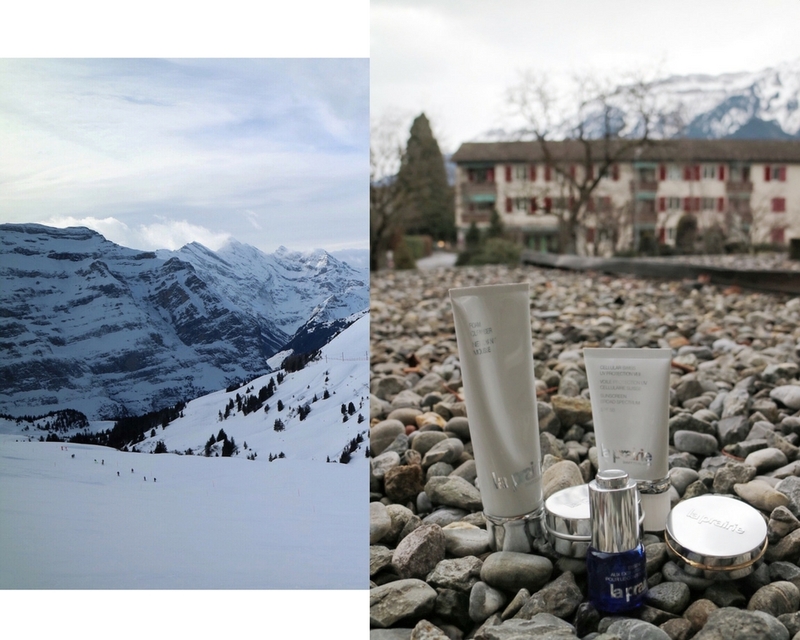 That being said, we decided to head to Switzerland before things got too crowded in the City of Lights, so I packed up my arsenal of La Prairie products and headed for colder temperatures. The Alps were stunning; we used Interlaken as a base to explore the surrounding Jungfrau region and spent time in Wengen, Grindelwald (my favorite) and Jungfraujoch. It was cold and dry at those high altitudes, so I was thrilled to have skincare that I could rely on to keep me hydrated and looking fresh even through all that train travel and bitter cold. We met a Swiss woman who lived in Grindelwald, and one of the first things she mentioned was that Swiss women relied on certain brands to keep their skin healthy in that kind of climate, because of their ingredients. 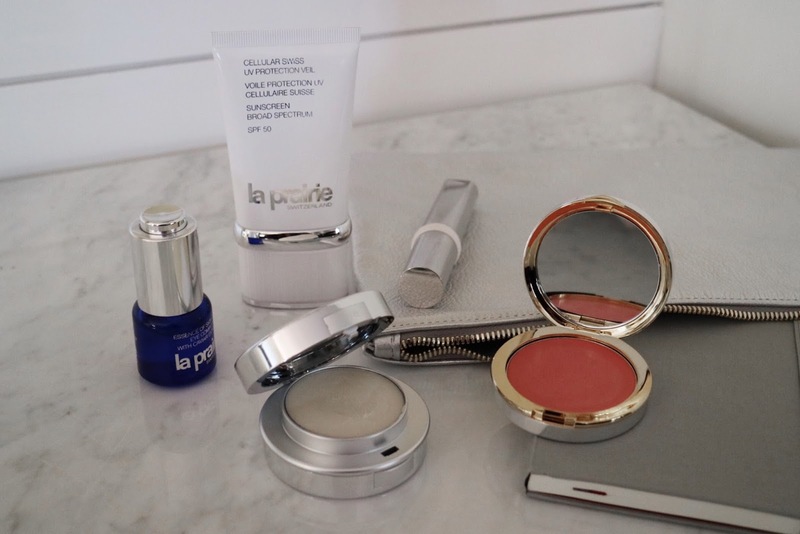 I am happy to report that La Prairie was on that list..."a worthy investment," she said. Of course, I had to streamline my routine as much as I could, so I brought a few of my favorites from the brand on my journey. Every morning after cleansing and applying toner, I applied the Essence of Caviar Eye Complex around my eye area to keep the skin hydrated and feeling taught. I swear this little dropper is filled with miracle fluid; every time I was looking tired, I would pat on some of this and look instantly more awake and refreshed. 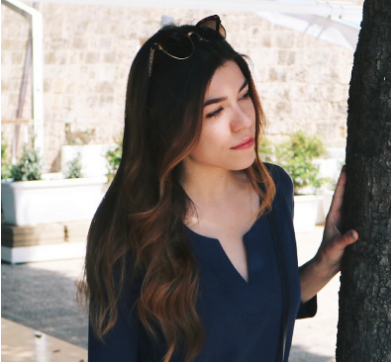 When my skin is drier, I like to eliminate the need for thicker base makeup, and one of my tips for being able to do that is to layer skincare. I would apply the illuminating eye cream from the Anti-Aging Eye & Lip Perfection à Porter, along with a layer of the lip balm for a perfected pout. Then, I'd dab on just a bit of the Light Fantastic Cellular Concealer to my under eye area for a light dose of coverage that wouldn't dehydrate the area. For the rest of my face, I relied completely on the multitasking Cellular Swiss UV Protection Veil for a dose of moisture and sun protection that also managed to smooth away dehydration lines and keep my skin feeling balanced. And trust me when I say that blending a bit of the Cellular Radiance Cream Blush on the apples of my cheeks made all the difference. I love this blush for its ability to fuse into the skin and look completely undetectable - my favorite shade is Rose Glow. I'll be sharing my travel guides soon, but in the meantime, tell me - what products do you rely on in colder climates?